Hyundai is coming under fire after what appears to be an ad in Europe showing a man trying — and failing — to commit suicide in one of its cars due to its 100% water emissions. 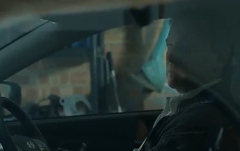 The company has subsequently pulled the ad after a blogger who writes about the advertising industry chastised the company and its advertising agency for reminding of her own father’s suicide in its attempt to sell a car. I understand better than most people the need to do something newsworthy, something talkable, even something outrageous to get those all-important viewing figures. What I don’t understand is why a group of strangers have just brought me to tears in order to sell me a car. Why I had to be reminded of the awful moment I knew I’d never see my dad again, and the moments since that he hasn’t been there. That birthday party. Results day. Graduation. Floating around on the interwebs are comments suggesting that the man isn’t depressed, he’s just got a sinus infection and is using the car as a humidifier. Which is something absolutely no one would do, while the fact is people do attempt and succeed at killing themselves in a set-up exactly like the one shown in the ad. It’s still available elsewhere on YouTube, as seen below.